Angelo is a keynote speaker as at the Housing Futures, and will present Flat Buildings and the act of architecture. The repetition of discrete “spaces” in space is the central task in the design of a flat building; how artfully one is able to best perform the act of architecture with an economy of form. And “economy of form” is inextricably linked to economy in building. And then there is the present now-familiar problem of an architect’s dexterity to ably apply themself to the concurrent issues of regulation and market, while ever attempting to produce a work that offers answers about our time. How boring are the works of residential flat buildings; now that the fundamentals of light and air are bedded down. And yet, this is the “architectural matter” our generation will leave for the next. We will be judged by future generations by how we perform this phenomenon we call urban consolidation. What we leave behind as our legacy is questionable. My view is that the present plaudits are implausible if we imagine what it will be like to look back to what was designed in our time. Alongside talks and presentations, Angelo will take part in a panel discussion with international architects: Where to from here? Housing in Australia is in a state of flux. Our major cities are experiencing growing pains, with housing affordability reaching crisis levels and the ever-growing need for more housing coming into conflict with environmental and social concerns. This presents a multitude of challenges, but it also offers opportunities. 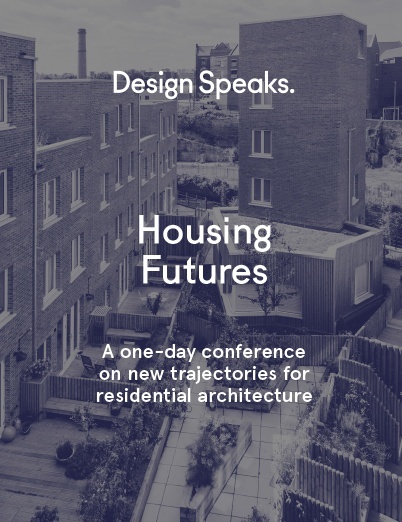 The Housing Futures forum, featuring speakers representing a wide range of disciplines from Australia and abroad, will speculate on the ways that architects, designers, planners, developers and policymakers can help meet the demands of today and create the cities of our future. The symposium is on the Friday 27 July 2018, 9.00 am – 5.00 pm.